Last week’s MOTHER 3 for Haiti charity event went well, but Greiv’s computer started going crazy halfway through the game, forcing the event to be halted. It’s going to pick up where it left off later today, so be sure to check it out! Ohh, I thought it was over already. Maybe I will watch it this time around? It is something like TheSpeedGamers? Whoo, can’t wait. Part 1 was good but I have a feeling this’ll be better. woot, an hour left till it starts. Only 20 viewers? This is madness! No THIS IS MOTHER 3!!! Hopefully next time Mato posts one of these, he’ll put the ustream feed only in the page when you click on the link. I wasn’t even watching it, I just had EBC on the front page on one of my tabs, and my Firefox crashed every hour or so. Ustream hates Firefox. I WAS THERE, UNDER THE NAME “THE CHIEFE”. I SPOKE IN ALL CAPS LIKE AN IDIOT. Man that was fun though. Please make a Mother 3 for Chile, cause chile just suffered an earthquake of 8.8! I’m not from chile, but i watch the news! 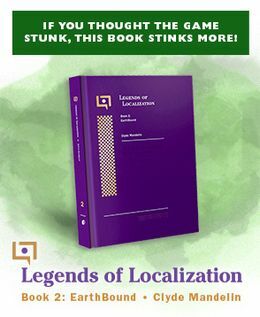 Or Earthbound for Chile, if you want. But, Mother 3 Changed my life forever! It would have to be “EarthBound Para Chile” o “MOTHER para Chile”, to give it more style. It acts like a soap opera, and has an emotional feel! But as always, NO CRYING UNTIL THE END! 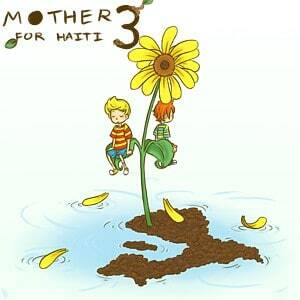 Hey, the Mother 3 for haiti just ended. i saw it!